By default vSphere uses an SSL certificate from VMware Certificate Authority (VMCA). If accessed through a browser, the https access will be considered untrusted. In addition to using the host restart method, another alternative is to run the host in Maintenance Mode, install an SSL and then use DCUI to restart management agents and after that restore the host’s condition to exit the maintenance mode. 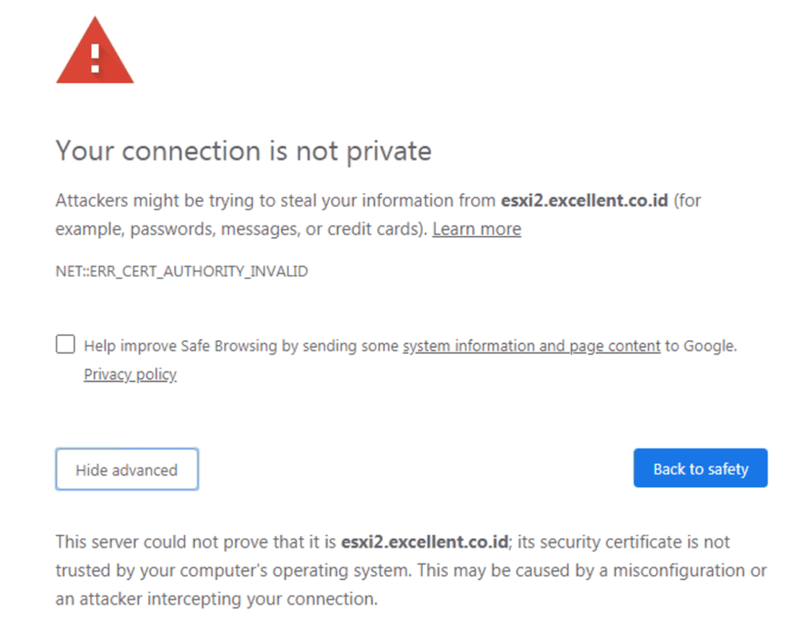 If you don’t have an SSL certificate, Excellent provides SSL Certificate services of various types (Single, Multi Domain UCC and Wildcard) and from various brands (Comodo, GeoTrust, Symantec, Digicert and others). Please refer to the SSL page for more details. Unlike other providers who sometimes only provide SSL certificates without support services, Excellent provides support for the process of generating Certificate Signing Request (CSR), implementing SSL or Revoke/Replacement SSL.